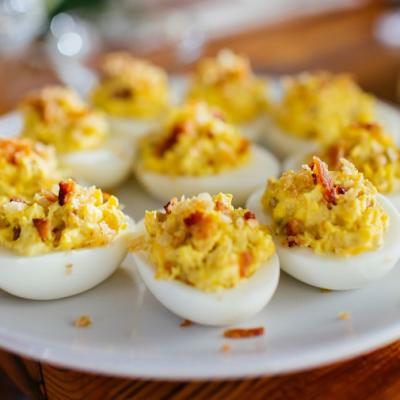 Devilled eggs have been a family favourite for Leith and Midge since their children were little. 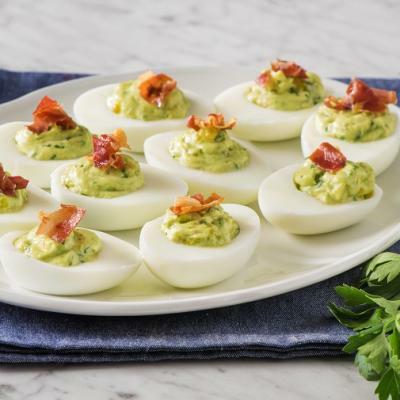 They enjoy making this simple recipe during holidays such as Christmas and Easter or whenever the craving strikes. Place cold eggs in single layer in saucepan. Cover with at least 1 inch (2.5 cm) cold water over top of the eggs. Cover saucepan with lid and bring water to boil over high heat. Immediately remove pan from heat to stop boiling. Let eggs stand in water, covered, for 18 minutes. Drain water and immediately run cold water over eggs until cooled. When cooled, peel eggs. Slice eggs in half from end to end. Scoop yolks into medium bowl; set egg whites aside. Add mayonnaise to yolks; stir mixture, mashing yolks well, until creamy and smooth. Spoon yolk mixture into egg white halves, or transfer yolk mixture into plastic sandwich bag; snip a small corner off bag and pipe yolk mixture into egg whites. (Piping bag with decorative tip can also be used to pipe yolk mixture.) 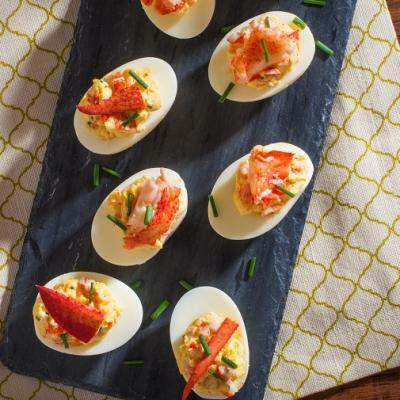 Sprinkle paprika over devilled eggs to garnish. Serve immediately or cover and store in refrigerator. Serve within 2 days. 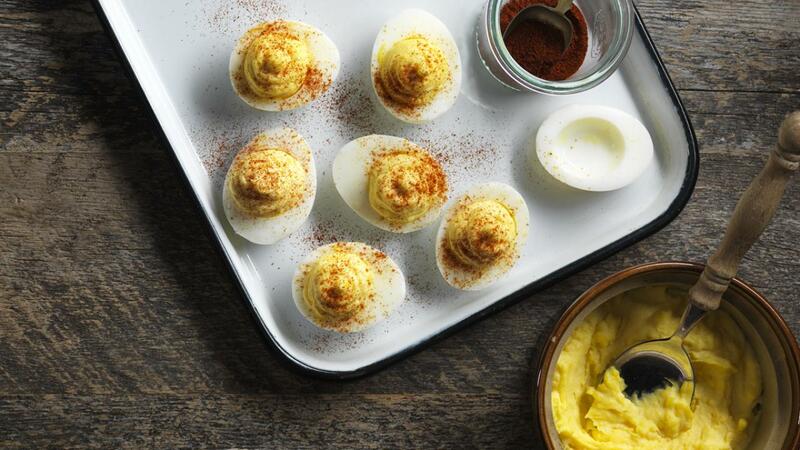 For easiest peeling, use eggs that have been in the refrigerator the longest. The less fresh the eggs, the easier they will be to peel. Dijon or prepared mustard, chopped fresh herbs, minced garlic or green onion, or hot pepper sauce can be added to the yolk mixture.